If you have an outstanding amount owing, you'll see this in the 'Account' section of the website or app. You'll see that your account is 'Arrears' and how much you owe. This will charge the amount to the payment card linked to your account. I'm overseas - how can I pay my account? If you're overseas temporarily and still hold an Australian credit or debit card, you can settle your balance with your card. Just log in to your account, add the correct credit or debit card details, and follow the instructions above. Note: If you paying in a currency other than Australian dollars, make sure you check the current exchange rate before making payment. If the amount you transfer doesn't settle your outstanding account, we will still need to chase you for payment. My card was lost or stolen - how can I pay my account? If the card linked to your Car Next Door account is lost or stolen, please let us know as soon as possible. If you have an overdue balance, the system will block you from booking trips until the balance is cleared. While you wait for a new card, you can pay the outstanding amount owing via electronic funds transfer (EFT). 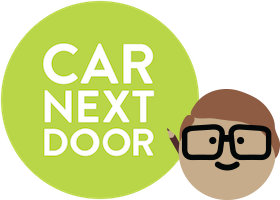 Once you have a new card, please enter the details in your Car Next Door account as soon as possible so that we can charge you for your future trips. See How do I update my credit card details?